When the fates first led me to Victorina Press, I had just finished the manuscript for my debut novel The Ardent Witness. And while I had no idea what would come of it, I knew that as a first time author of a piece I hoped to call literary fiction, publishing would be an uphill battle. One I might never win. So when I read about Consuelo Rivera-Fuentes, the founder and director of Victorina Press, and her mission of bibliodiversity, one dedicated to fighting against the confines of traditional publishing and its marginalisation of voices that don’t easily fit into the marketable package that most publishers look for, I realized that not only had I found a publisher I’d be proud to submit my manuscript to; I had also found a movement. So, what does bibliodiversity mean? The term was originally used by a group of independent publishers in Chile and has since been adopted by the International Alliance of Independent Publishers. The core components of the ideology are set out in Susan Hawthorne’s book Bibliodiversity: A Manifesto for Independent Publishing but, in essence, bibliodiversity is way for independent publishers like Victorina Press to challenge the status quo. Something that seems to become more and more important in these increasingly divided times. What led these authors to Victorina Press and, most importantly, what bibliodiversity means to them and to their work? “Bibliodiversity - it's a big subject. These days I don't want to read anodyne predictable accounts of nice people doing nice things in nice countries, I need the challenge of having my complacency upturned and to hear different voices. There are many sure-fire genres - chick-lit, crime, romance etc. that hit the same notes every time. Safe, predictable, easy reading. They have their place, but let's hear from the other people out there on the margins. 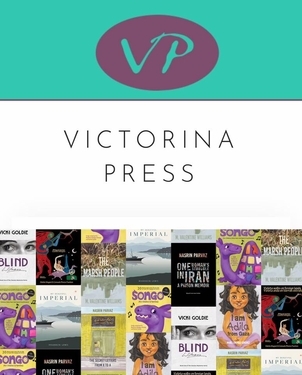 It seems to me that Victorina offers this opportunity to its writers and readers, to open their eyes and minds to the possibilities of being different, 'other', challenging the stereotypes and roles we've all come to expect. Years ago I had an agent, who eventually told me that unless I could write historical bodice-rippers or teenage romance she probably couldn't sell my work. When I heard about Consuelo and Victorina, I jumped for joy, showed her The Marsh People, and she accepted it. You can find out more about M. Valentine Williams and her writing on her website www.valentinewilliams.co.uk and order a copy of her latest book The Marsh People here. “I feel very lucky to be one of the writers soon to be published by Victorina Press, such a dynamic and vibrant independent publisher. I was very fortunate to meet its founder Consuelo Rivera-Fuentes through writing workshops and artistic events since we not only share a passion for literature but also the love of our American continent and its people. 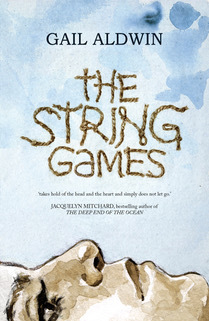 “The idea for The String Games began as a piece of short fiction about a child lost on a beach in France. In 2013, when I joined the MPhil programme in creative writing at the University of South Wales, I wanted to develop the story into a novel. It’s every parent’s worst nightmare to lose their child and as the story took shape, this event became the catalyst. However, rather than viewing this from an adult perspective, I decided to explore what this would mean in terms of guilt and responsibility for a sibling tasked with looking after her brother. I poured five years of my life into writing The String Games and continued my studies to doctoral level. During the journey, I acquired literary representation but then my agent became pregnant and decided not to return to work. After this setback, I submitted only to independent publishers and I was delighted when I received an offer from Victorina Press. You can find out more about Gail Aldwin and her writing on Twitter @gailaldwin and through her blog The Writer is a Lonely Hunter. “Consuelo’s background – because she was imprisoned and tortured during the rule of Pinochet, that made me think she might take my books. I felt that she would be drawn to both my books: The Secret Letters from X to A, and One Woman’s Struggle in Iran, A Prison Memoir. You can find out more about Nasrin Parvaz and her writing on her website http://www.nasrinparvaz.org/web/ and order copies of her books from the Victorina Press website. “The idea of bibliodiversity - apt that it comes from Chile - reminds me of M.M. Bakhtin’s ideas, the linguist and literary theorist writing in Russia in the 1920s, and my hero. For him, the novel is the most social of literary art forms because of its diversity of languages or dialects or language registers, each in dialogue with the other, where language itself is fundamentally dialogic: ‘Each word tastes of the … contexts in which it has lived its socially charged life. …The word in language is half someone else’s.’ (M.M. Bakhtin, 1975, Moscow. English translation 1981, 2006, published as The Dialogic Imagination). A novel’s ‘heteroglossia’ distinguishes it from poetry and drama. ‘Diversity of voices … enter the novel and organize themselves within it into a structured artistic system.’ (M.M. Bakhtin, ibid) And subject matter is fundamentally shaped by this dialogue of diverse languages. For those who know Bakhtin’s work, please forgive massive oversimplification. You can order your copy of I am Adila from Gaza from the Victorina Press website.